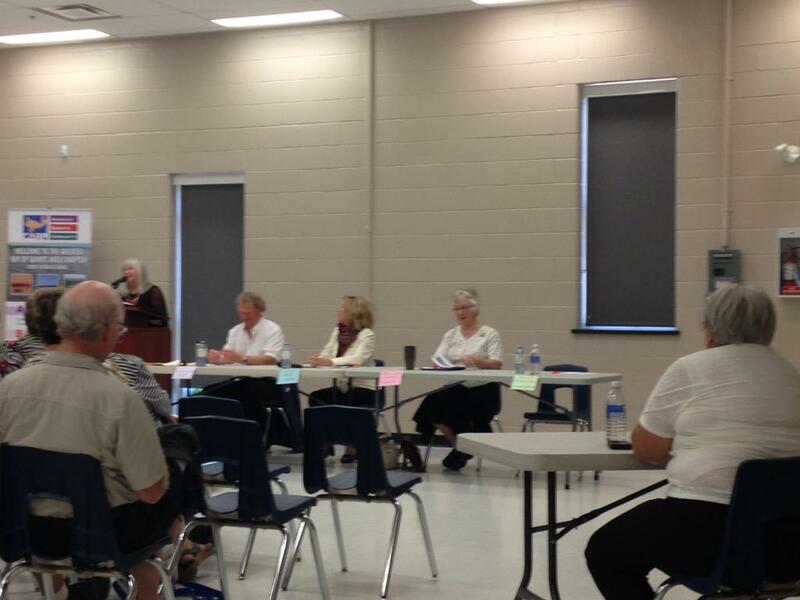 BRIGHTON – Candidates for the Northumberland-Peterborough South riding are trying to convince the public their party is best equipped to handle the various seniors’ issues facing the area, at the all-candidates debate in Brighton on Thursday. Three of the four candidates are on hand. Conservative candidate Adam Moulton isn’t there. 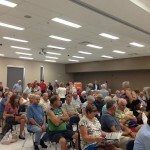 The debate was hosted by the Canadian Association of Retired Persons and was open to everyone. Health care was an issue from the very start, as NDP candidate Russ Christianson addressed it in his opening speech. 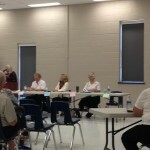 Elderly issues motivate me too, Kim Rudd reminded the crowd in her opening statement. The Greens also want to address poverty, Sinnott said. The crowd gave Sinnott a loud round of applause after her first statement. “Harper wants to take money out of our health care system, and that’s the opposite of what we need to do,” said the NDP’s Christianson. He reinforced his point by saying his party plans to hire 7,000 new doctors if elected. He also said they have an Alzheimer’s and dementia strategy. 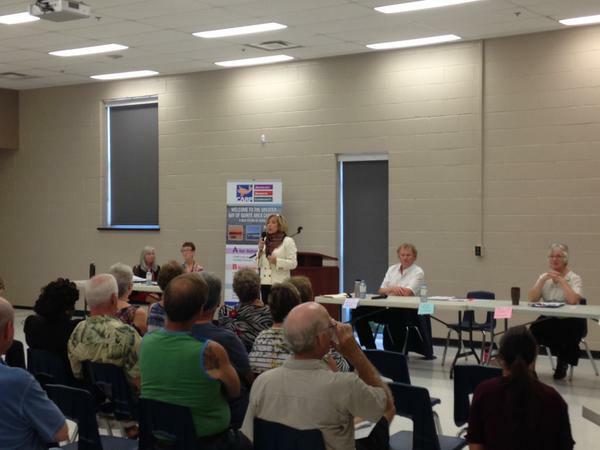 The candidates were asked what their parties would do for seniors that are struggling now. 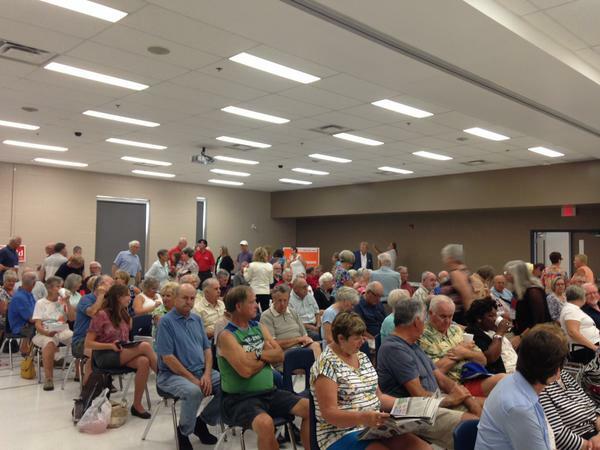 Christianson said the NDP would lower the retirement age back to 65 from the current 67. His party will also reintroduce affordable co-operative housing for seniors, Christianson said. On the subject of affordable housing, Sinnott said the Green Party is proposing $6.1 million a year be given to municipalities for infrastructure. “This would be used to create affordable housing. Building housing also lets young trades workers like carpenters get work and practise,” she said. 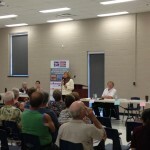 The candidates were asked what they would do to improve home care practices. “People want to stay at home and we need to find a way to make it work,” Christianson responded. He went on to say the privatization of caregivers has resulted in a low standard of care. One thing the candidates didn’t disagree on is the national Pharmacare program, all saying their parties are in favour of it. They also all agreed on doctor-assisted death. 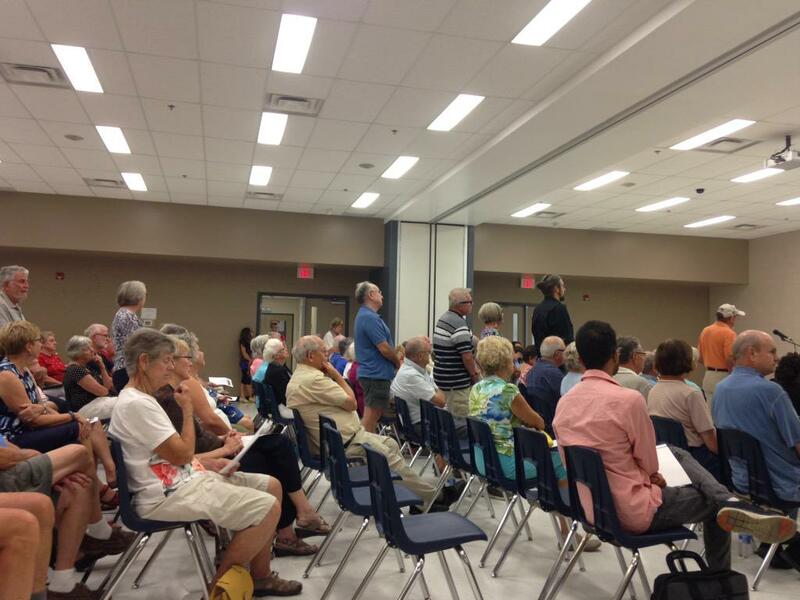 The last pre-determined question was how the riding would benefit from each candidate being elected. Christianson said the area needs a strategy around youth unemployment and ending unpaid internships. Sinnott addressed local environmental issues in her “Why would I benefit this riding?” statement. Rudd said both she and federal Liberal leader Justin Trudeau agree that small business and entrepreneurship will be the key for this riding. One audience member asked the candidates how they would protect domestic Canada. Rudd said the Liberals believe Canada needs trade. Christianson suggested free trade should actually be called investor protection agreements. Youth unemployment was another question from the audience. Sinnott said the Greens promise free postsecondary tuition by 2020 and will excuse a large portion of student debts. “Investing in the youth is very important,” she said. She wasn’t the only candidate with a promise, though. Christianson said the NDP plans to invest $200 million over three years to create 40,000 youth jobs a year going forward. The three candidates graciously sacrificed their closing statements to answer the remaining audience questions. One of these questions was about taking care of Canada’s veterans. “If the Canadian government can put up tens of billions on fighter jets we don’t need, why can’t we take care of those that fought on our behalf? 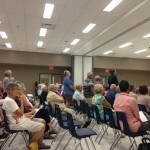 Seems like a question of prioritization to me,” said Christianson. Other topics discussed at the debate were drug and vaccine prices, long-term care facilities and marijuana legalization. Moulton declined the invitation to the debate. Media reports quoted him saying it interfered with his door-to-door campaigning. It was reported Monday that Moulton plans to attend two of the nine public debates scheduled in the region.